There’s nothing like laying in your own bed — especially after surgery. 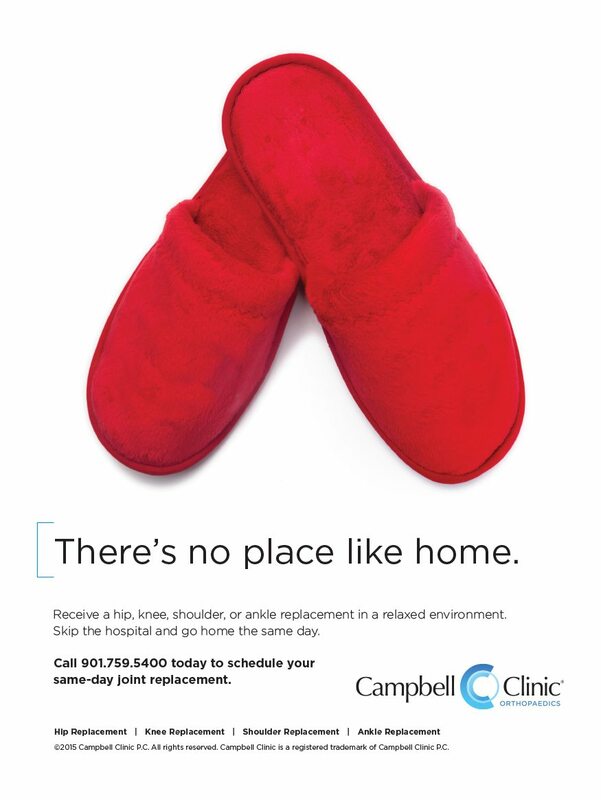 Campbell Clinic now offers same-day joint replacement surgery for patients, and they asked inferno to help patients feel at home with the service. Our integrated campaign of TV, radio, print, and digital shows patients that they can recover from total joint replacement surgery with all the comforts of home. Take a look at how our team brought a home-y feel to the Campbell Clinic brand and showed Memphis a better way to recover.